Regarding the first two, my mother told me the things I fear most usually won’t turn out to be as bad as expected, and I’ve found that to be true. Time passes and that thing you dread will come and go and you. will. survive. You’ll make the speech and the audience won’t boo you off stage. Your son will pitch in the big game and win or lose, he won’t act much different tomorrow. You’ll go to the party where you know only the hostess (or the conference where you don’t know anyone) and make a new friend. Or not. You’ll get through it either way and maybe your comfort zone will expand in the process. The third one is trickier: it’s literally a fear of failure. We imagine that failure isn’t possible if we don’t try—and it’s true that you can’t fail at something you never began—but we don’t give ourselves the opportunity to succeed, either. This kind of fear reveals the things that are most important, that mean so much that you’re afraid to fail. They’ll force you to choose whether you’re more afraid of trying or living with the knowledge that you didn’t. Examining fears helps determine if they have a foundation or whether it’s true that there’s nothing to fear but fear itself. Sometimes our kids trick us into engaging in meaningless debates: maybe they’re testing their influence, pushing to see how much control you’ll relinquish; or maybe they’re just hormonal or in an ornery mood. You’re the adult. Don’t get sucked into childish debates. Learn when to engage, but don’t always take the bait. My 13-year-old daughter walks into the kitchen and tells my 9-year-old daughter and me to stop singing, that it’s annoying. (I’d be happy if my children never used the word annoying again, but that’s a different story). I smile to myself and never pause my off-key tune. Bait not taken. 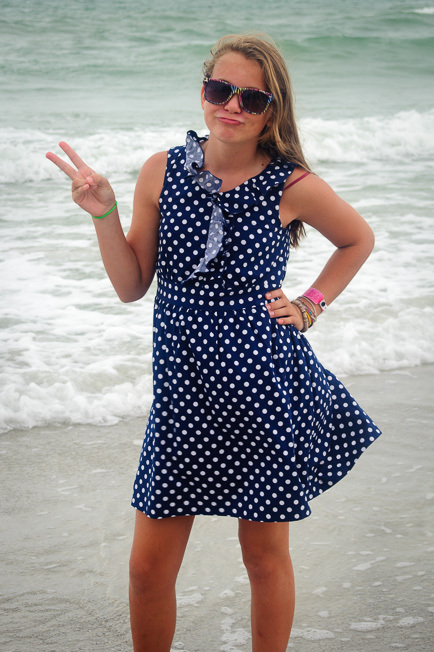 I don’t begin a ridiculous defense of our right to sing, and my daughter sees that rudeness doesn’t work. Later this same child tells me that two of the other kids are my favorites. This deserves a discussion. I explain that I don’t have favorites, but that people often respond to others in the manner they’re treated and the two children she mentions are usually cheerful, polite, and respectful. Hopefully she gets my point. It may feel like you say the same things over and over and over to your kids. But that’s okay. Consistency counts. You’re the adult, so act like one. Don’t get sucked into arguing like a child and don’t discipline in anger (that’s a bonus). There’s an expiration date on this find, so get it while you can. 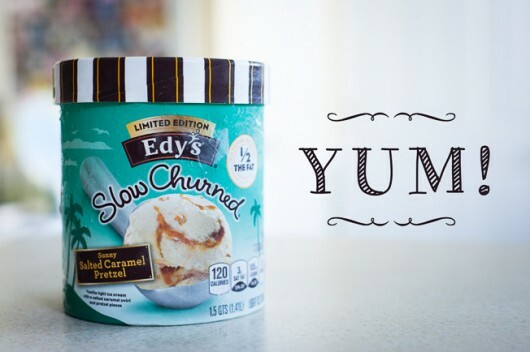 Edy’s (it may be Dreyer’s in your area) has a limited edition ice cream called Sunny Salted Caramel Pretzel that’s rocking my world. If you’re a fan of the sweet and salty mix, this flavor may be for you. Buy another variety for your kids and hide this in the back of your freezer. It’s that good.